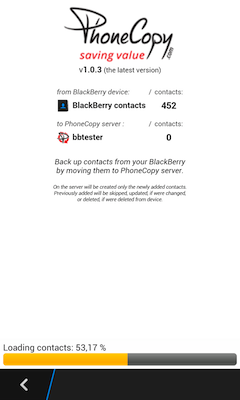 PhoneCopy.com is a web service which is free for personal purposes (with few limitations). 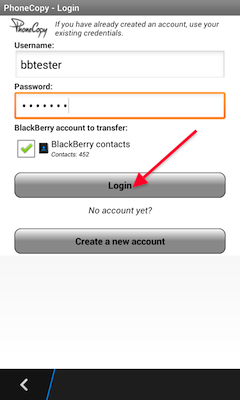 This tutorial will show you how to backup your data from BlackBerry Q5. The whole process can be completed in few minutes. 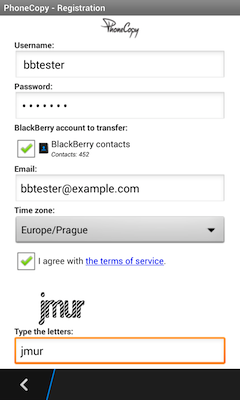 Download an application PhoneCopy for Blackberry. Choose your username and insert your email address, where we will send you a confirmation email that you will need to activate your account. 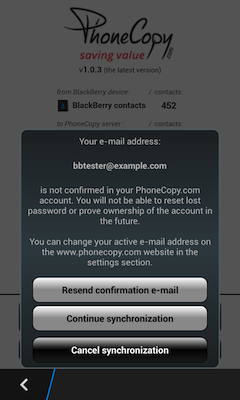 Now you can synchronize contacts from your Blackberry 10 to PhoneCopy.com. 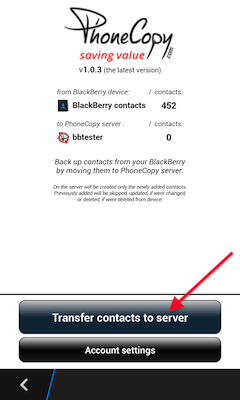 Your contacts will be synchronized in few seconds.